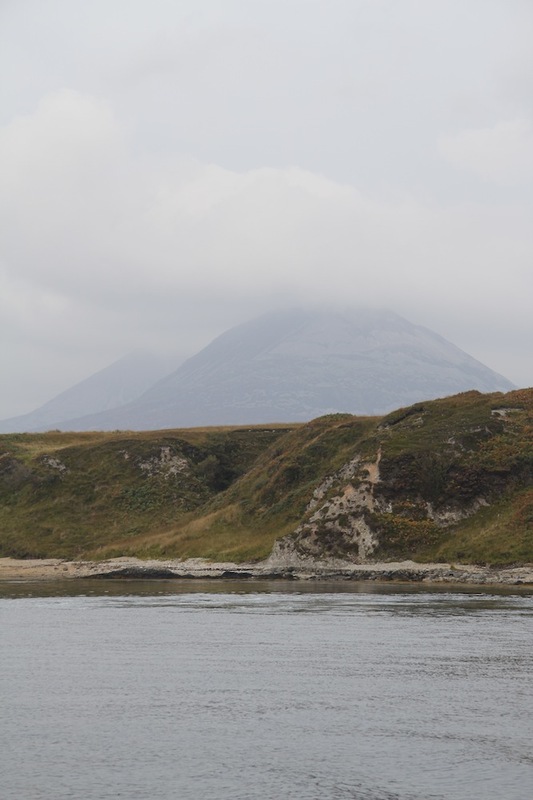 Yesterday we accidentally ended up going to the island of Jura. 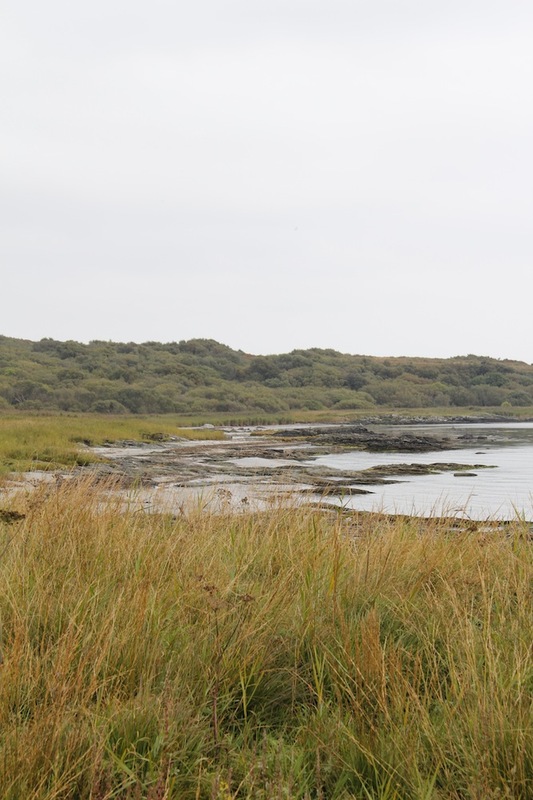 We didn’t really have any plans besides visiting Loch Finlaggan, tasting whisky and walking the dogs. 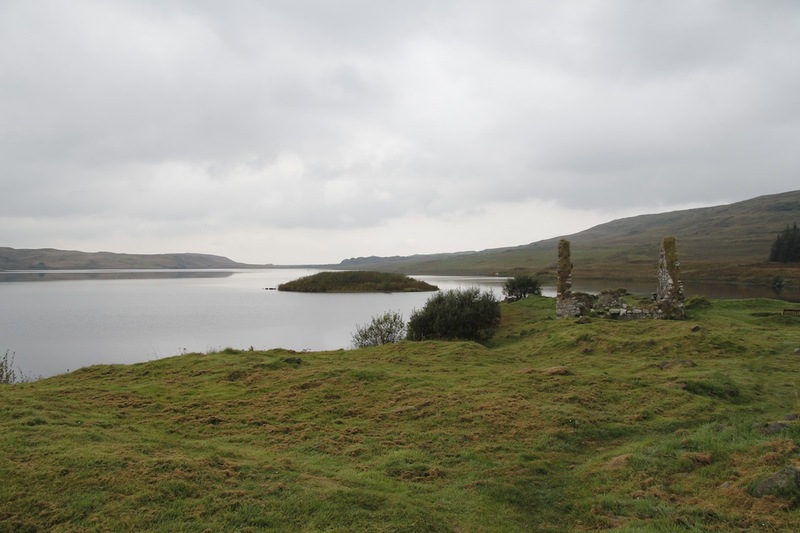 Loch Finlaggan has an island which was the seat of the Lords of the Isles – I think. Although I am a historian I am not interested in history per se. That is I am not particularly interested in finding out what happened, when and why. I am more interested in thinking and writing about how and why people have chosen to narrate past events, what they use them for and what explains differences between accounts. 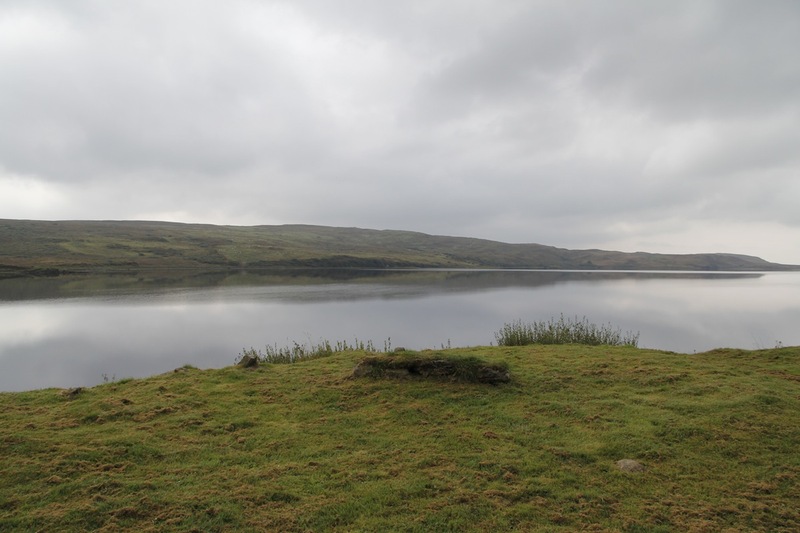 So it is no surprise that I simply wanted to visit the loch and see the ruined chapel and old tombstones, but didn’t want to spend ages looking at the visitor centre and I certainly didn’t want to watch the Time Team archeology programme about the dig there. 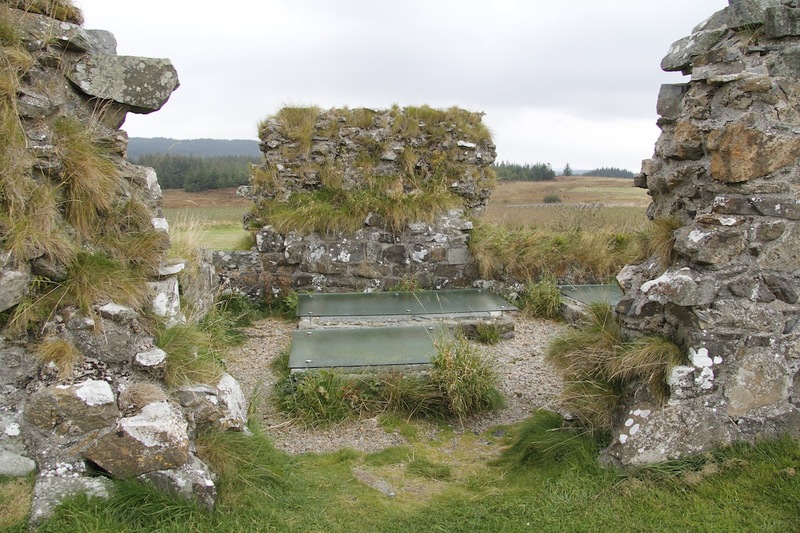 It was a lovely, slightly mysterious spot, only slightly spoilt by the fact that the tomb slabs were covered by glass which was in turn covered in condensation so you couldn’t actually see them. 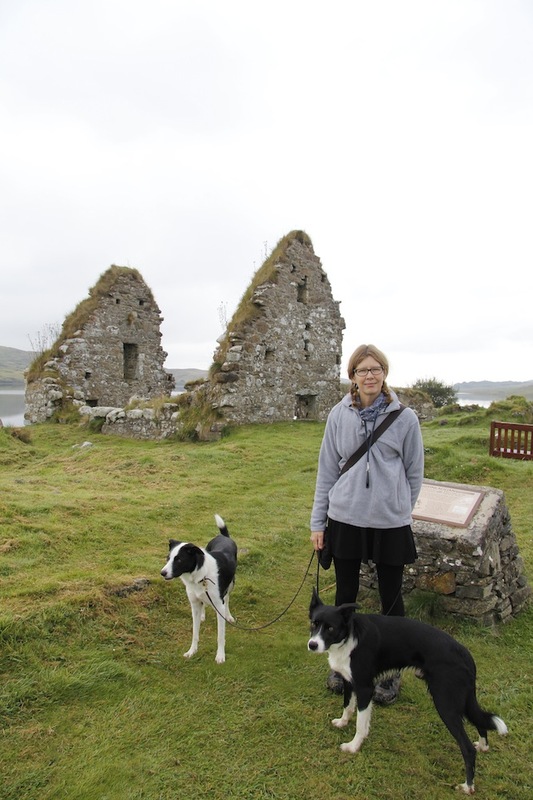 Me (and dogs on leads) being shockingly uninterested in the history of the place. 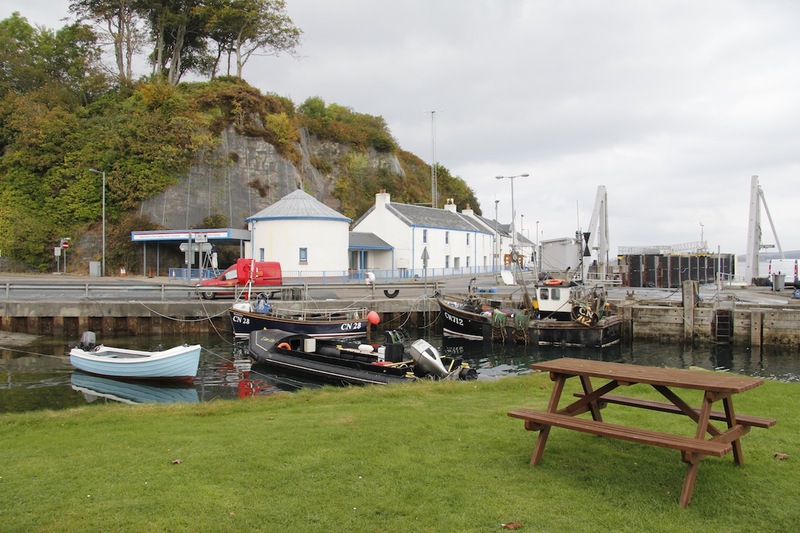 We then went to Port Askaig to get an early lunch. 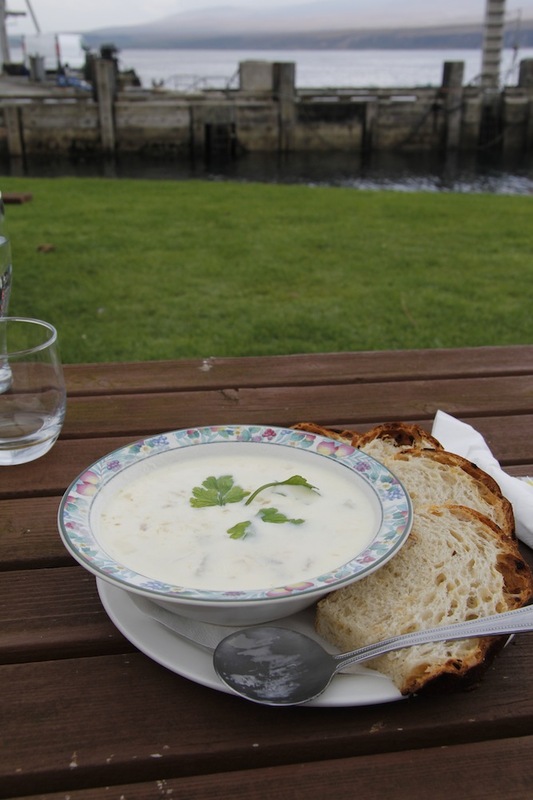 We sat right by the water in the hotel garden and I had Cullen Skink which was delicious. 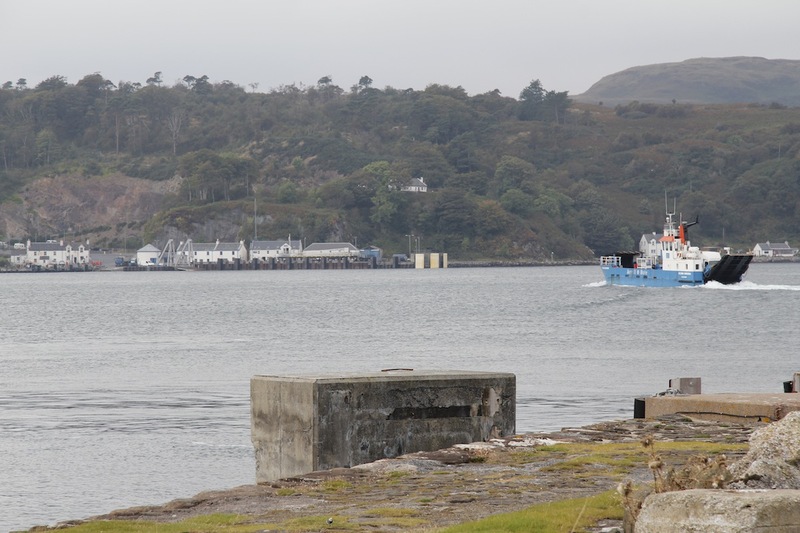 It was there we hatched a plan to take the next ferry across to Jura. 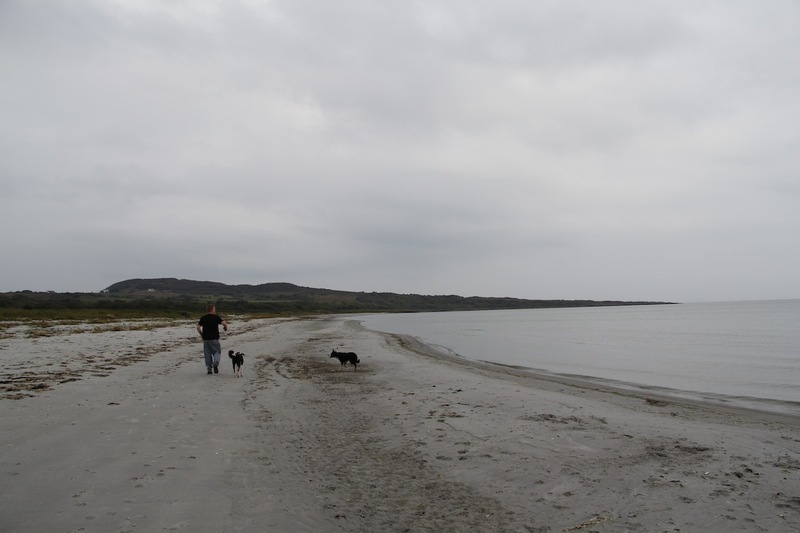 Jura was grey when we visited. Not grey in a bad way, grey in a misty, quite beguiling way. 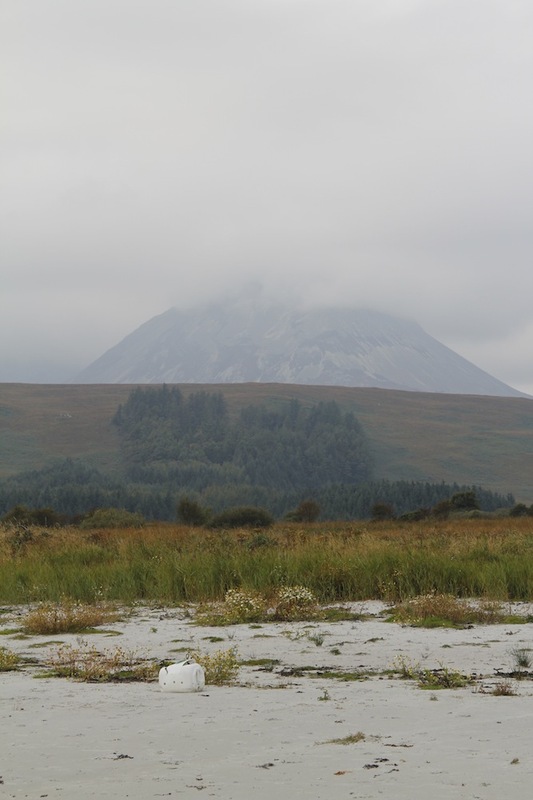 The hills were shrouded in mist, the rocks were grey, the water was clear, but grey and the sand was grey. It was quite beautiful, but grey. 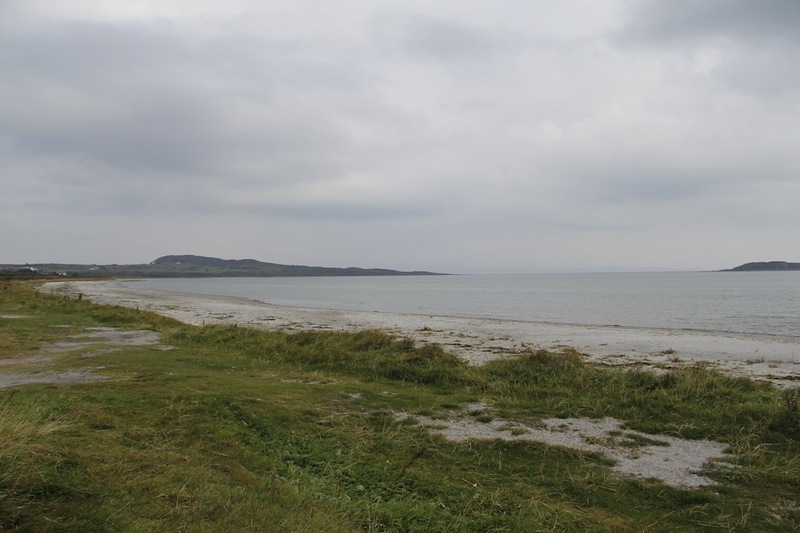 We walked on two beaches – one north from the ferry stop towards the lighthouse. 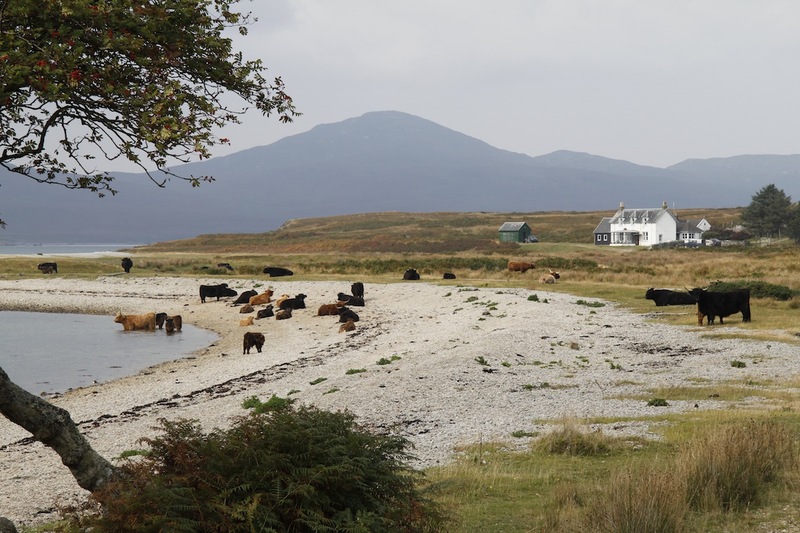 We stopped when we met cows on the beach and I was too scared to go past them with the dogs as they had calves with them – I am such a coward. I did see an otter though. 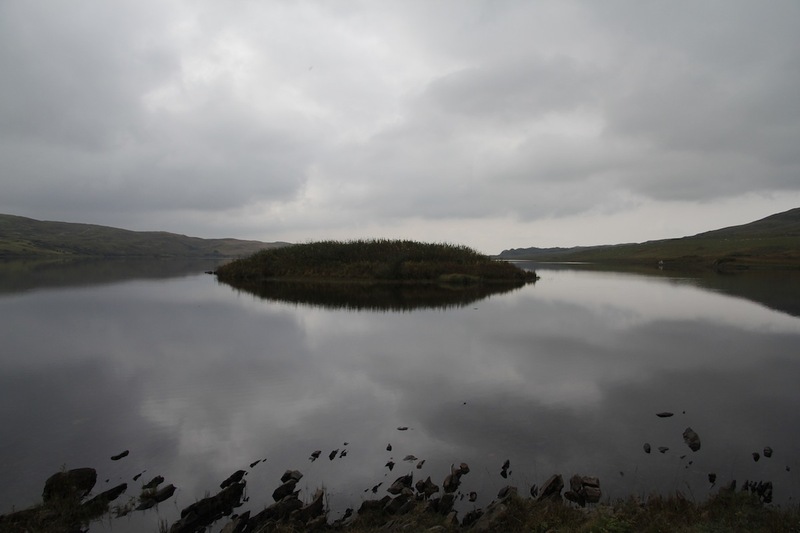 The other was north of Craighouse. 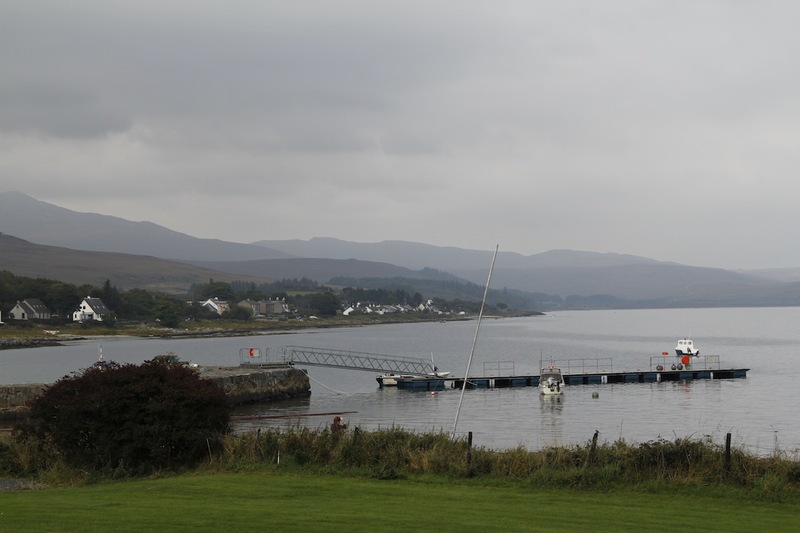 We walked there after stopping for a quick taste of whisky at the distillery and a coffee at the very nice Jura hotel. 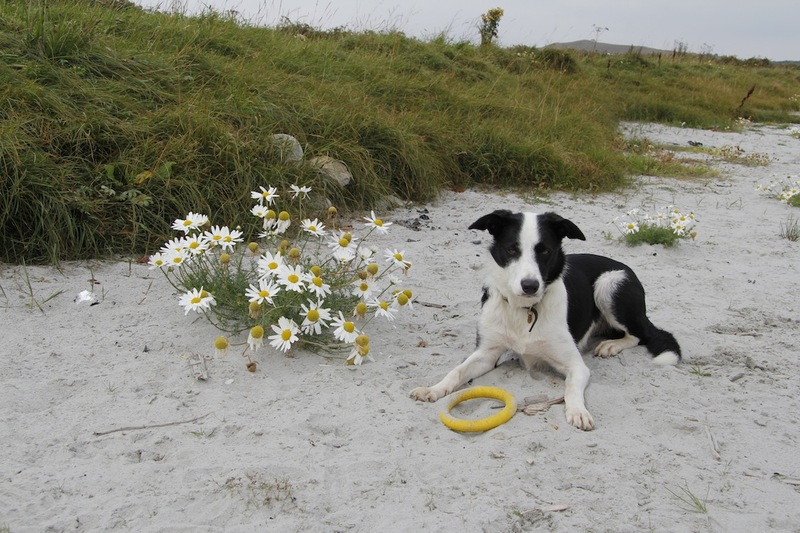 There were daisies on the beach, which I found cute and Daisy Dog reluctantly posed next to. N.B. After foolishly declaring that Daisy Dog had a good recall she decided to show me that you should never make rash declarations about working sheep dogs without checking with them first. 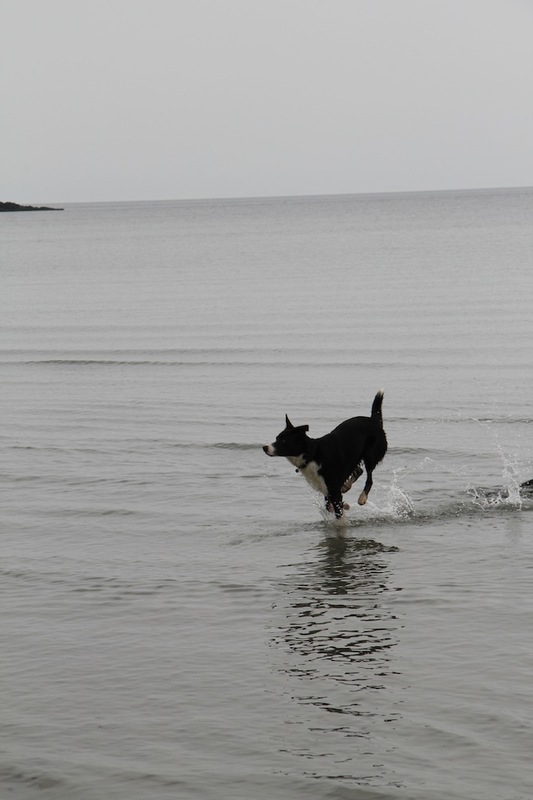 While waiting for the ferry back I was pomming along the beach with the dogs and they wandered ahead round a curve on the beach. I called and Kainaat rushed back – Daisy Dog didn’t. I called again. 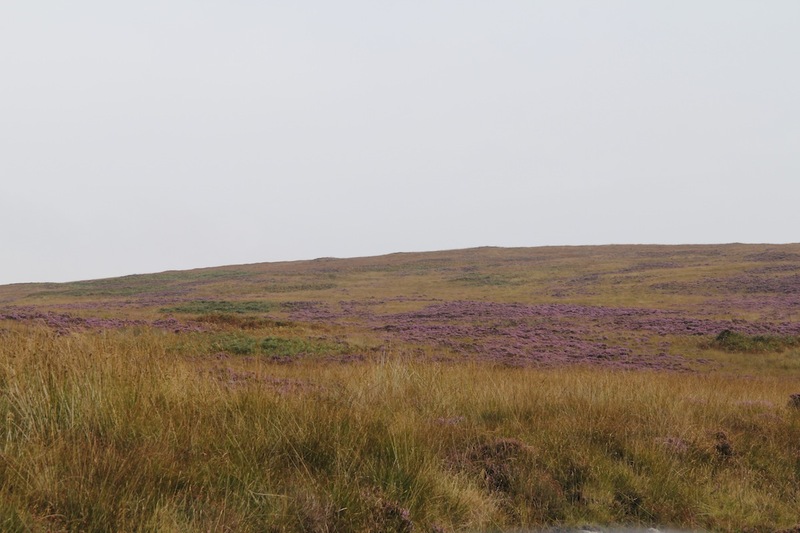 Eventually she ambled back round – there was nothing distracting her, she just couldn’t be bothered to come back straight away – typical Daisy Dog – very head strong, very independent, not entirely convinced that I am worth listening to. We had words and hopefully the issue is resolved! Just lovely! so pleased you are all enjoying your time. And I agree with you Claire, those tomb stones should have been left uncovered. How silly really to cover them. I miss you all. Oh it sounds like you are both having an idyllic time, and well deserved! we will have to get together so you can tell us all about it, although your blogs are so colourful, I feel as though I am there….not at all ‘grey’…. Augmented Reality (AR) presentation went fabulously well, happy to discuss further. Even had a commendation! amazing!!!! Give us a shout when you are home. Good luck with the continuing ‘recall’ commands, maybe better treats required? Remarkable! Simply delightful! I also very much appreciate how you professionally approach your work as a historian! In 500 years, historians shall have a treasure trove of information with all these millions of blogs and images! This period of time is probably the first ever of really being able to obtain a rich contextual view from the “common folk” across culture, geography, and generations! Thank you. In 500 years how will historians select from all the images and words to write their tales? I suspect a plethora of information will be the equivalent as a relative dearth in terms of the fictive process of telling stories about what has happened. But you are right it will be nice to have stories that actually include ‘common folk’. 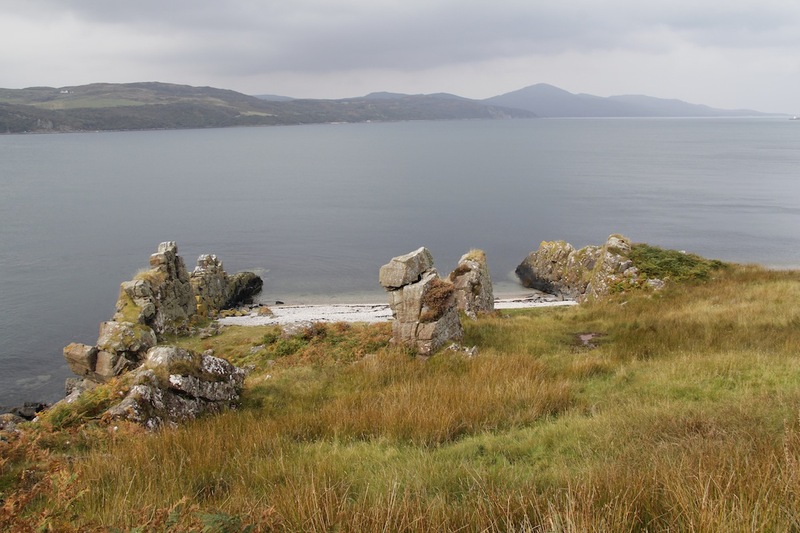 Wonderful stories, beautiful land and love your version of history and historical sites and agree, of course. Also love that Daisy Dog was being true to her nature but still willing to cooperate even if reluctantly. So-o-o glad you are writing this blog and sending posts from your times away. Helps open up my little world here. Thank you. Love you. 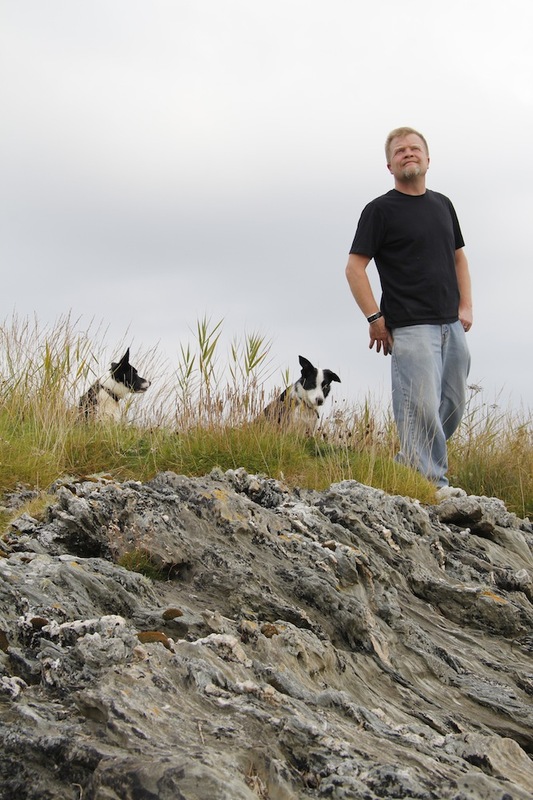 I can’t tell you how much I wish I had been there to join you and James and dogs. I have a dram or two of Jura whiskey (also for medicinal purposes of course) a couple times a month. Of all the single malts I can find here in Asheville, North Carolina, (and within my price range…) Jura is my favorite. The misty mystery of the islands you captured beautifully in your photos. Reminds me of some of the trips of discovery I made around Brittany while living there in the ’70s. And boo to glass over tombstones! 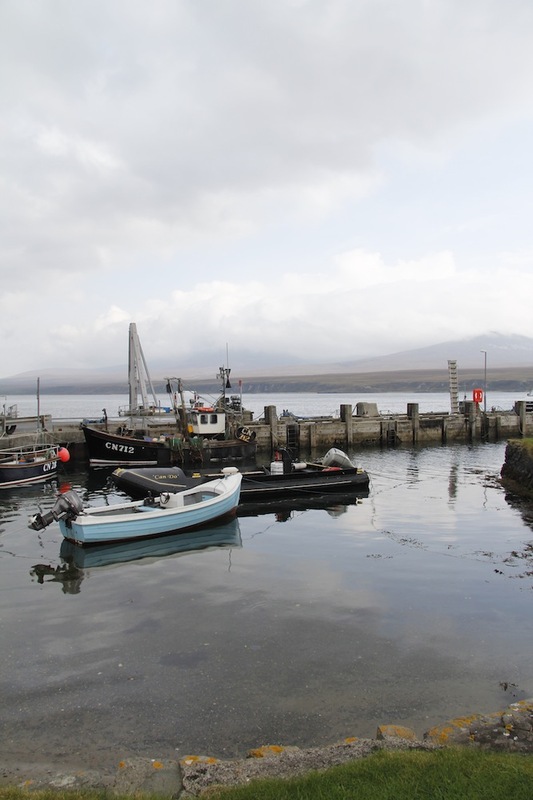 You will have to come and visit us and we can drink whisky and talk about beautiful places! 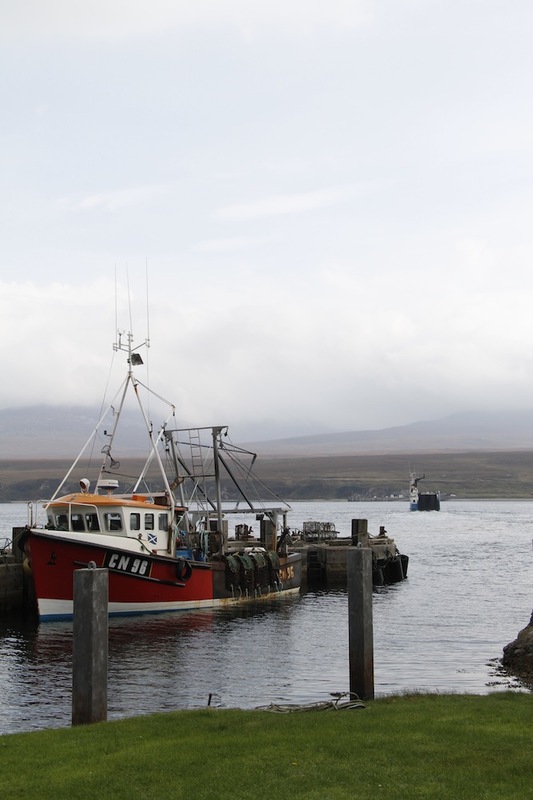 We bought some Jura whisky from the distillery and will save it for when you come. Before the campsite we used to travel to France in our old VW camper van – we often went to Brittany or the Charente-Maritime region further south on the Atlantic. 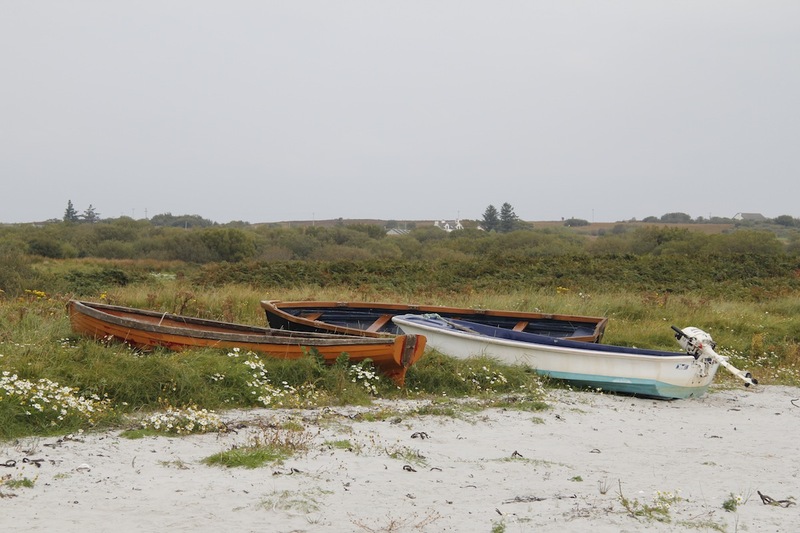 I love Brittany – definitely a similar coastline to here, lovely seafood, and often misty. Oh wow, it’s beautiful there. Fantastic photos.